A company as large as Infosys – $7 billion of annual revenue – cannot escape the economic weakness in most developed markets. But the Indian IT outsourcer bears some responsibility for its slowing growth. In April, the company was expecting 8-10 percent revenue growth in 2012, in dollars. On Thursday, that was cut to 5 percent, despite a weaker rupee. The shares fell by almost 10 percent. Infosys isn’t responsible for the world’s problems, but it might be able to resist them better without the unwritten pact that each of the core founders gets a shot at running the company. When it was announced that K.V. Kamath, the ex-ICICI banker, would replace Infosys co-founder Narayana Murthy as Chairman of India’s flagship outsourcer in April last year the firm was valued at $38 billion. Today that is closer to $23 billion. Current Chief Executive S.D. Shibulal, is the company’s fourth, having taken the helm last year from fellow co-founder Kris Gopalakrishnan. The contrast with local rival Tata Consultancy Services is striking. Infosys’ share price is down 18 percent this year, while TCS is up 5.6 percent. TCS has been better at changing with the more stringent times, increasing its market share from lower cost work amongst India’s top three firms from 47 percent in 2009 to 51 percent this year. At Infosys, it has declined from 34 percent to 28 percent over the same period, according to Nomura. The much larger rival Accenture has also shown faster revenue growth than Infosys. And Infosys seems to have lost its ability to outperform its guidance. It has missed its previously announced target in five out of the last six quarters. India’s number two IT outsourcing company, Infosys, cut its sales outlook for this fiscal year amid worries clients will reduce spending on outsourcing services due to global economic uncertainty, sending its shares down nearly 9 percent on July 12. Infosys sees its revenue in dollar terms rising 5 percent to $7.34 billion in the year to March 2013, down from its April estimate of 8-10 percent growth. 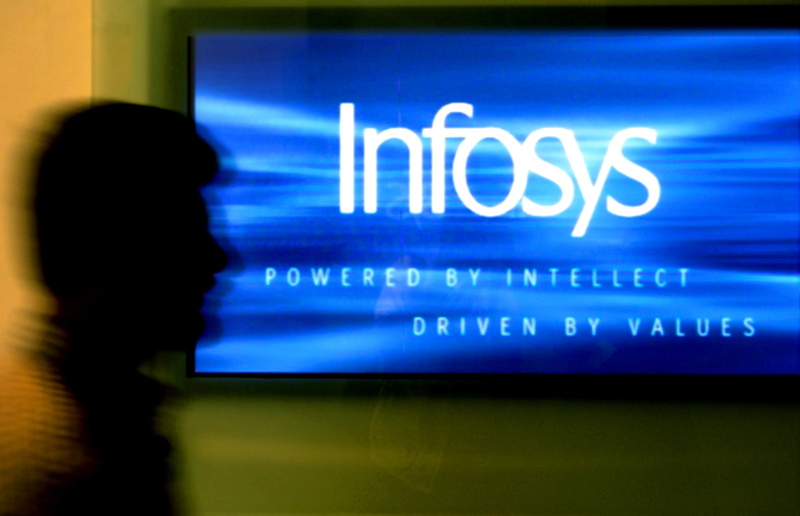 Most analysts were expecting Infosys to trim its sale growth outlook to 6-8 percent. The company met expectations with a 33 percent rise in its fiscal first-quarter profit, according to Reuters.